BY JACKIE M. YOUNG – HONOLULU – State Rep. Calvin Say’s residency in the district he represents and his ability to continue to represent that district in Hawaii’s state House is being threatened in state Circuit Court. 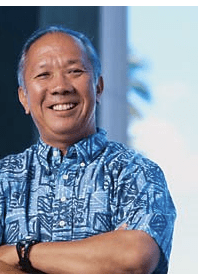 The former House Speaker has been a state representative for more than 30 years for District 20, which includes St. Louis Heights, Palolo, Maunalani Heights, Wilhelmina Rise and Kaimuki. He graduated from St. Louis High School and has been active in the Palolo/St.Louis Heights/Kaimuki community for many years. Say’s residency actually has been challenged three previous times since 2006, all of them unsuccessfully. But the significant difference in this latest challenge, filed in 2012 in state Circuit Court, is it’s bypassing the City Clerk’s office entirely and asking the courts to rule directly on Say’s residency qualifications. Lance Collins, attorney from Wailuku for six District 20 residents (led by Ramona Hussey, an administrative associate at UH, who calls their group “Citizens for Responsible Government”), has filed a writ of quo warranto (meaning, “by what right”). It’s a motion Collins is quite familiar with, having witnessed it used in the Dupree vs. Hiraga case that was taken all the way to the Hawaii Supreme Court. “In that case,” explained Collins, “Sol Kahoohalahala’s qualifications to serve as a Lanai County councilmember were being challenged based on his non-residency in the district (in that case, it was found Kahoohalahala was not qualified to serve). “This writ puts the burden of proof upon the defendant, to prove they’re qualified for the office; this is _not_ a voter registration issue. We have a lot of evidence, based on past complaints, witnesses, the lack of usage at Say’s Palolo home based on utility bills, his property tax exemptions, etc., that Say doesn’t really live at his 10th Avenue house. The most recent developments in the case are that the Intermediate Court of Appeals in April unanimously reversed the lower Circuit Court ruling that dismissed the challenge to Say’s ability to hold office, and sent the case back for trial. Judge Karen Nakasone previously ruled the court lacked jurisdiction, but the ICA overruled that, and Nakasone ordered Say to appear in court in August to prove he lives in his district. However, it now seems the state Attorney General is stepping in to be legal counsel for the House of Representatives, and current House Speaker Joe Souki has filed a motion to quash the subpoena, and the House of Representatives has filed a motion to intervene. Expect more legal and political wrangling to occur, possibly up to the state Supreme Court. Interestingly, several bills in the past legislative session that would’ve tightened up the residency requirements for those in the state House or Senate (notably, HB 269 and SB 478) didn’t make it out of committee hearings. 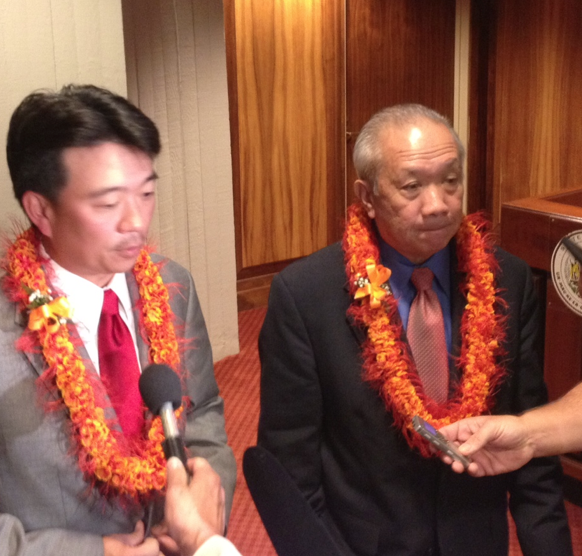 Those stakeholders in the Say residency challenge (Rep. Calvin Say, House Speaker Joe Souki, Rep. Karl Rhoads [Judiciary], Sen. Clayton Hee [Judiciary], and Sen. Kalani English [bill introducer]), had either no comment or there was no response. “Every year for the past several years, we’ve been introducing these bills to make the residency requirements for officeholders stronger,” said Mel Kahele, lobbyist for the Ironworkers Stabilization Fund (of the Ironworkers Union, Local 625), “but each time it gets shot down. “Our concern is that someone running for office should be familiar with the issues in their district by having lived there for a significant period of time, and that they should not be carpetbaggers brought in by their buddies to form a political coalition. Beppie Shapiro of the League of Women Voters agreed that it’s “highly desirable” that officeholders actually live in the district they represent, but her group also supports “broadening the candidate pool” so that someone who’s interested but new to the area could also qualify if they wanted to run for office. There will be certainly more developments to come in this long-standing issue. Kelly asserted that Say was maintaining a “simulated residence” on 10th Avenue in Palolo, while really living with his wife, Cora Say, and his two sons, Geoffrey and Jared, in Cora’s parents’ home on Star Road in Pauoa Valley, but offered little in the way of supporting evidence. The second time a complaint was filed with the City Clerk’s office was on August 17, 2006, by Michael Palcic, a St. Louis Heights resident. This time, a personal observational log and photos of the 10th Avenue home being frequently vacant were submitted, as well as property records showing the Says’ ownership of both properties, but with the property tax bill being mailed to the Star Road address. On appeal, Palcic submitted testimony from one of Say’s 10th Avenue neighbors saying she rarely saw him at the property. Utility bills for the 10th Avenue home were found to be very low. The Says explained away their absences by saying that, beginning in 1995, Mrs. Say and her sons stayed more regularly at the Star Road home in order to care for her ailing father and mother (who have both since passed away). Mr. Say would then “shuttle back and forth” between the two homes, but come back to sleep (alone) in the 10th Avenue home. Shortly after the Palcic appeal, Cora Say gave up her challenge to her residency at 10th Avenue and admitted that she lived at Star Road. The third time the City Clerk’s office took up a complaint about Calvin Say’s residency was on July 29, 2010, by District 20 residents Van Law and Julius Calasicas. An affidavit from Law of his personal observations of no activity at the 10th Avenue home was submitted, along with an affidavit from a longtime neighbor stating she rarely saw Say at the 10th Avenue house, utility bills for at least the past ten years showing low usage at the 10th Avenue home, and property tax records showing Say was claiming a non-homeowner’s exemption for his house on 10th Avenue. Each time the City Clerk ruled in Say’s favor, primarily based on: 1) postal mail continuing to be received at the 10th Avenue address, 2) various registrations using the 10th Avenue address (motor vehicle, bank accounts, driver’s license, etc. ), 3) property records showing Say’s continuing ownership of the 10th Avenue address, and later, 4) rebutting testimony from other 10th Avenue neighbors who said they saw Say regularly at the 10th Avenue home during certain times. However, the current City Clerk, Bernice Mau, and the one who ruled in the 2010 case, explained that the investigations had not been done by professional investigators and that it was her own office staff that had done the field research. She also indicated that her findings were simply based on the current law. Recent legal developments in the last week of August have been that the court has allowed the state Attorney General’s Office to represent the state House in Say’s case, and that the state House will now be allowed to intervene for Say. The House is claiming, under the state Constitution, only it has jurisdiction to determine the qualifications of its members. So motions by Say and the House to dismiss the challenge will be heard in mid-September. An earlier attempt to subpoena state House Speaker Joe Souki to reveal his knowledge of Say’s residency failed, but attorney Lance Collins for the plaintiffs said he intends to re-subpoena Souki at a later date. Jackie M. Young has been a freelance writer since 2007, and has been actively reporting for locally known publications such as the Star-Advertiser, MidWeek Special Sections, Hawai’i Army Weekly, Trade Publishing, Civil Beat, the Hawai’i Independent, Hana Hou Magazine and the online Honolulu Magazine. She has also been involved in acting and radio and TV for many years. She is a Punahou School and UH graduate. Seems like the City Clerks Office needs an overhaul to understand what representative government means to democracy.